Two Formats: On-Air (in 7 parts) and Written (in 6 rounds). Beginning with a discussion about Ra's 1st Foundational Falsehood video, Bob debated creation and atheism with one of the web's leading anti-creationists, Aron Ra (born L. Aron Nelson). * Ra Relents Regarding Newton: Regarding the greatest scientist in history, Aron Ra claimed that Isaac Newton belongs not to the creationist camp but to that of the methodological naturalists. Bob was shocked by Ra's lack of a basic education in the history of science. Enyart tried to explain to Ra, unsuccessfully, that because Newton believed that God created fully human Adam and Eve in the Garden of Eden, and because Newton wrote extensively to show that the biblical chronology of the young earth is accurate, that therefore he cannot be included in the camp of methodological naturalism. Aron Ra rejected that reasoning. (BTW, during or after 1719 Newton wrote in his Short Scheme of True Religion, "Opposite to [godliness] is Atheism in profession and Idolatry in practise. Atheism is so senseless and odious to mankind...") It is surprising but somewhat forgivable that atheist Aron Ra did not know that Isaac Newton wrote more about Scriptural chronology, history, and theology than he did about physics and math, but it is not forgivable, apart from a correction by Aron Ra, that he then proceeded to defend even in writing his refusal to admit that this historical giant, judged by many to be the greatest scientists who ever lived, Isaac Newton, was in the special creation camp. Newton even wrote in his Chronology of Ancient Kingdoms that because of the extreme weather during the global flood, that Noah would not be able to see the Moon for much of the time on the ark. Of course, Newton did not need to know about Darwin nor genetics to reject biblical creation and agree with the ancient Greek philosophical claim of an eternal universe. Newton was a creationist. And if Aron Ra acknowledges that and corrects his claim, we'll update this page! Update: In the 2012 Enyart/Ra written debate Aron eventually begrudgingly admitted, in a backhanded insulting way, that Newton was a creationist. * Please Note League of Reason Dysfunction: Since 3-11-13, links to leagueofreason.co.uk ceased functioning but they do function with the prefix "the" added. Initially we've updated the relevant links on this page and perhaps, if this is a long-term LoR problem, we may update the other LoR links throughout our site. 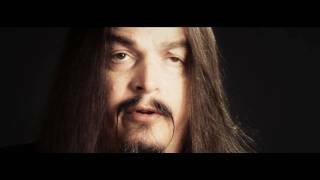 We won't let Aron Ra get away that easily :). So where necessary, just prepend "the" to any LoR links, as in theleagueofreason.co.uk. Round One: As an atheist, Aron appeals to authority. Also, Ra's refusal to admit that Isaac Newton was a creationist. Round Two: Aron Ra did not know about the many peer-reviewed confirmations of dinosaur soft tissue. Also, Larry Martz and Ann McDaniel, Newsweek reporters, replied to Real Science Radio regarding the oft-repeated claim based on their 1987 Newsweek article that, as wrongly claimed by Aron, 99.86% of scientists affirm Darwinism. See rsr.org/newsweek-1987. Round Three: Catalog of the peer-reviewed confirmation of dinosaur soft tissue; rapid stratification; carbon 14 everywhere; wildly unexpected genomic discoveries. Round Four: Millions of nautiloid fossils standing on their heads; uniform strata boundaries; gently curved strata; and alleged millions of years of missing strata; all versus Aron Ra's denial of evidence of rapid strata deposition at the Grand Canyon; Global flooding on Earth vs. Mars; And Bob's brief replies to Aron Ra's claims about Babel and The Exodus including on the major Darwinian predictions about the origin of language being disproved by evolutionists. - Aron's insistence that Bob claims the dinosaur soft tissue is "edible"
- Bob answers Aron Ra's Phylogeny Challenge. 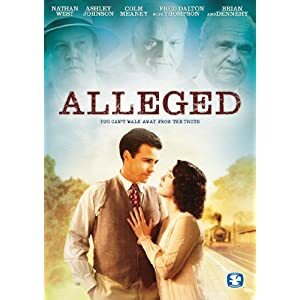 * In ALLEGED -- Hollywood Finally Gets Scopes Trial Right: Enjoy ALLEGED, the feature film about the Scopes Monkey Trial starring Brian Dennehy (Rambo), Fred Thompson (Law & Order), Colm Meany (Star Trek), Ashley Johnson (The Help), Nathan West and Khori Faison. This great movie Alleged, available at Walmart, is accurate to the history and trial transcript of the Scopes Monkey Trial unlike Hollywood's previous Inherit the Wind attempt. Order your copy today. Alleged is available from Amazon or pick it up from your local Walmart or order it online at Walmart DVD or Walmart Blu-ray. Enjoy! * Aron Ra's First Foundational Falsehood Video Completely Unsubstantiated: If this accusation is true, that Aron provides zero evidence to support the central claim of his first video, this undermines the credibility of Aron Ra's entire Foundational Falsehoods series. So feel free to watch the video and see his quotes, omission of evidence, and the evidence that falsified his first and foremost claim, all below! 3:53 – 4:03 "is based on at least a dozen foundational falsehoods. First and foremost among them is the idea that accepting evolution requires the rejection of theism, if not all other religious or spiritual beliefs as well." 4:03 – 4:14 "For decades, those behind the creationist movement have tried very hard to portray that one cannot accept evolution and still believe in God. They know better." 6:43 - 6:52 " Poll after poll continues to reveal that, around the world, most “evolutionists” are Christian, and most Christians are evolutionists. So evolution is not synonymous with atheism"
* Aron Ra Confused about His Own First Foundational Falsehood: When creationists argue that evolution is false, and that atheism is false, Aron Ra confuses himself into thinking that we are asserting that evolution is synonymous with atheism. That is his non sequitur. Aron explicitly does this on the radio when debating Bob Enyart accusing the creationist of conflating evolution with atheism on the sole grounds that Enyart argued that both are false. (See the related story, KGOV.com/pot.) Aron Ra is as confused as if he claimed that anyone opposed to the UFO craze and opposed to Keynesian economics is therefore claiming that Lord Keynes was an alien. So RSR challenges Aron Ra, first to admit that his first foundational video provides not a single quote to substantiate his point. And then to go and try to find one from any leading creation organization. And if he cannot, then he needs to take his own advice. - AiG's answersingenesis.org has many articles dealing with T.E. including The Basic Assumptions of T.E. - RSR's rsr.org/pepperdine presents our warning filmed on the university's Malibu campus regarding T.E. * Evolutionists Commit This Kind of Error Themselves: When Darwinists claim, as they all do, that nothing in biology makes sense except in the light of evolution, they are saying that a creationist cannot be a scientist (at least not in the biological sciences, and Big Bang and chemical evolution proponents show similar bias in their fields). Thus, in this way, Darwinists commonly claim, falsely, that you cannot be a scientist unless you believe in evolution. Not surprising then, wherever they can, evolutionists kill the careers of those who doubt Darwin. (RSR documents atheists being guilty of the very things that they accuse creationists of.) However, some evolutionists acknowledge that creationists can be good scientists. - Another 38% say that God guided man's evolution. That's 78% of Americans who say either that God guided our evolution or that He specially created us. Aron doesn't give a source for his numbers. And Bob is not familiar with any poll that's ever asked, as Aron represents, whether evolution is, "'one of many theories,' not supported by facts," which of course would be a bizarre question from a heavily biased poll and surely not worthy of repeating. Scientists are experts in operational physics, chemistry, and biology; Most scientists believe in naturalistic origins. Therefore naturalistic origins must be true. Some of the world's leading experts on genetics have concluded that molecular biology is so complex that it could not have arisen by physical processes so it must have been created by an Intelligent Designer (some even proposing that aliens might have fulfilled this role, as even Richard Dawkins claims is a possibility). Thus scientists expert in the laws of physics are not therefore automatically authorities in the origin of those laws. And operational science, which gives the public much of its confidence in science, confers no automatic authority upon scientists for them to correctly infer the origin of life. So Aron Ra is subtly conflating notions of the general public to present the illusion of scientific certainty regarding evolution. In reply Aron claimed that "99.86% of [scientists] accept evolution," figure Bob then demonstrated was a completely invalid statistic that resulted from no survey or poll whatsoever and was simply fabricated by atheists. Bob also offered contrasting evidence to Aron's claim of a "complete consensus" among scientists for evolution. Applied science is where the rubber meets the road. And the medical field is where ideas in biology, anatomy, and genetics are confronted with real-world tests. And of course there's a large percentage of U.S. doctors who reject strict Darwinism including 34% of physicians who indicate that they are more comfortable with intelligent design than with evolution. Bob's older audience members know that he's been interviewing scientists who reject Darwin for 20 years. In fact RSR just aired a program on a leading Cornell geneticists (emeritus) who is world renowned for developing the Gene Gun, John Sanford, who wrote Genetic Entropy rejecting Darwinism. And in refuting the claim that only uneducated people would be creationists, of course many of the greatest fathers of the physical sciences, both before and after Darwin, were special creationists. Aron interrupted Bob who was quickly listing off scientists who would have included, before Darwin, Copernicus, Bacon, Kepler, Galileo, Pascal, Boyle, Newton, Cuvier, and Dalton, and after Darwin, Faraday, Mendel, Pasteur, Joule, Kelvin, Lister, and Carver, who along with many others, continued to advocate for special creation and reject evolution. Regarding his appeal to authority, Aron wants to dismiss the rebuttal value from our pre-Darwin list of scientists. But various philosophers for thousands of years rejected special creation of the cosmos. Darwin proposed a mechanism, but no philosopher needed a specific mechanism to deny creation. Aristotle claimed that the universe was eternal. And even today there's no demonstrable mechanism for the big bang, yet scientists today reject God as creator of the universe. So the atheist a priori rejection of pre-Darwin creationists is arbitrary and therefore not logically valid. Today's Resource: If you enjoy the science you hear about on our fast-paced RSR radio shows, you'll really love the books, audio, and DVD science materials in our online store's Science Department! And this DVD, Living Fossils, by Dr. Carl Werner, is absolutely stunning! You owe it to yourself, and your loved ones, to watch this DVD! Whether a shark, leaf, or crab, living fossils are a challenge for evolutionary theorists and create a fascinating debate among scholars. Do they indicate a younger earth than thought, placing the millions of years timeline of evolution in question? Or do they represent a deep mystery? Mars: Aron, contrast your certainty with scientists claiming massive flooding on Mars which today is a globally frozen desert. Yet NASA speaks of the Land of Noah (Noachis Terra) on Mars and its watery Noachian Epoch when fountains of the great deep "burst" forth onto the surface. Really. And in addition to the proposed "global-scale" mid-latitude glaciers, there were "giant floods," a "catastrophic flood" or even "catastrophic floods that"¦ occurred nearly simultaneously" which "merged into an ocean" and that this "action of water on and near the surface of Mars occurred for hundreds of millions of years"¦ and possibly global in extent." But then, NASA asks, "where has all that water gone?" And they suggest that those fountains just might burst forth again because perhaps the water was "absorbed into the ground." So there is a great irony that with 70% of the Earth covered with water, naturalists incessantly ridicule any proffer of evidence of a worldwide flood here, and before the chuckling has even died down, the same critics will affirm the possibility of nearly global flooding on bone-dry Mars. Earth: On our planet continents are covered nearly a mile deep in sedimentary strata, often with thousands of square miles of sharp contrast between horizontal layers, frequently with massive swaths of such intersections, called "flat gaps," showing little or even no evidence of erosion between those layers, and with scores of peer-reviewed articles claiming discovery of original biological material from strata allegedly tens of millions of years old (apparently all of which contains 14C and primarily non-racemized left-handed amino acids). These strata contain billions of dead things rapidly buried, such as millions of closed-shelled clams, and seashells atop the world's major mountain ranges, and millions of mammoths buried around the arctic circle, and millions of nautiloids buried in a single narrow limestone layer at the Grand Canyon. Yet secularists posit that Mars (which might have the equivalent of eight inches of water if evenly spread over the surface from the ice at the poles and the ice presumed to be below ground) may have had global-scale flooding. And the same scientists mock anyone who offers evidence that the Earth (which is more than two-thirds covered in ocean water that averages a depth of 2.5 miles) could ever have been flooded.